Happy Monday to all of our Quick Quotes friends! Today is the final day of our Dreamscape inspiration for you. Jen and Rhonda have some fun projects to share! Loving Dreamscape? We do too! Don't be sad though, tomorrow we are back with another all new CHA sneak to share! Just a quick reminder that today is the 9th and our Design Team Call is open through the 15th. Thank you to the lovely applicants that have sent their applications in! If you're working on your application, we can't wait to see it! The call is open to U.S. and Canadian residents only. Full details are available on the link on the left sidebar. 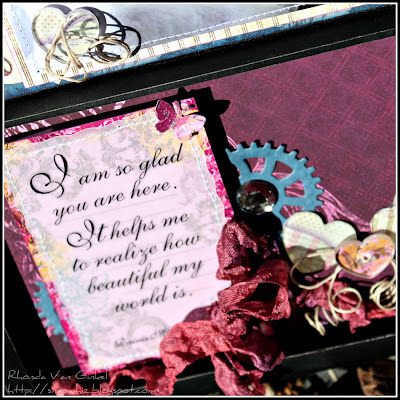 I absolutely love the new Quick Quotes Dreamscape paperline! On this layout I did a lot of paper tearing and inking with Purple Passion PowderPuff Chalking Ink. 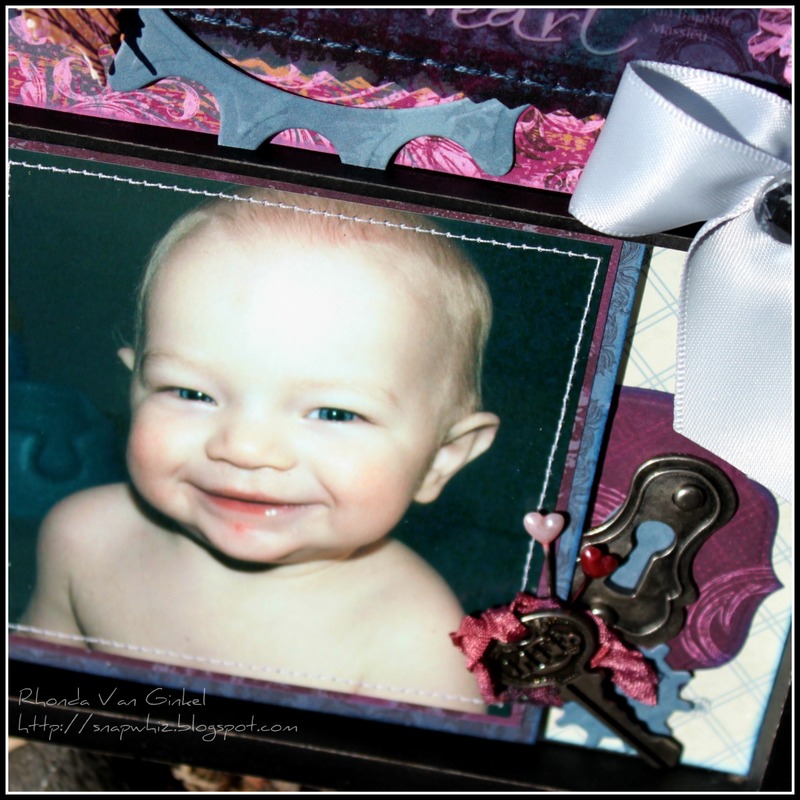 I also used the Spellbinders Sprightly Sprockets Die to create some interesting embellishments on the layout. I have to say that the layout was rather plain until I added the different shaped sprockets to the pages. I also added tiny dots of paint to the die cut pieces and along the thin strips of paper on the borders. I have used several different die cut machines in the past, but I couldn’t believe how well the Grand Calibur cut through the paper. There were absolutely no uncut edges or little pieces that had to be cut with scissors. The cut edge was flawless…pretty impressive! Happy Monday crafty friends from Rhonda! I'm super excited to share my Quick Quotes project with you today! All this month over at the Quick Quotes blog, we are featuring some new CHA sneaks. 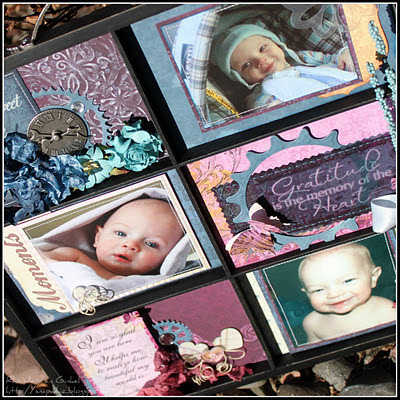 Spellbinders sent the team each a Grand Calibur and a variety of current dies to play with. Needless to say, I've been having a blast playing with these!!! The Dreamscape line features some rich jewel tone colors. I love that although the colors are so vibrant and rich, the tones and feel of this line is very soft. For my project, an artists tray was used to create a special home decor piece. 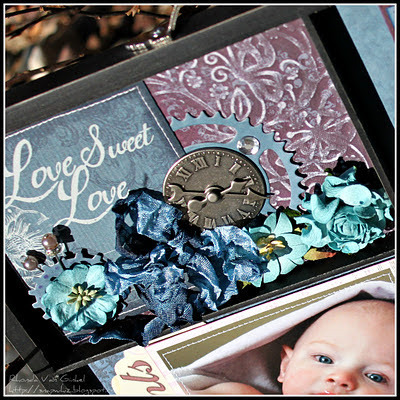 Spellbinders dies used: Labels Four Small, Sprightly Sprockets and Fanciful Flight. Thanks so much for stopping on over today! Don't you just love all of the projects with this yummy new line?!! Jen love the torn paper and the inking. The sprockets die is really cool. Rhonda I love the artist tray with your little blessing. Love the quotes on both. I am totally in love with this paper. Great job by all! These are fabulous!!! When is this new line available?!!! I can't wait! And that vellum quote! Oh My Jen and Rhonda!!! Your layouts are amazing! I love that you both pulled out different colors and have a different feel to your layouts even though it's the same paper! Fabulous job ladies! Like the baby layouts. Wonderful photos & embellishing.